Choose the best spelling to fill in the blank. The boy played on the nearby. Which of the following types of hay is a blister beetle most likely to be found in? Tall grasses in the breeze. Zebras love the of grasses. I like the of grass. Grass needs sunlight to grow. Where would grass be more likely to grow? What is the name of the book that Margo left for Q, written by Whitman? What is the state grass of Nebraska? What is the fruit of a grass plant? The savanna is a region of tall grasses. 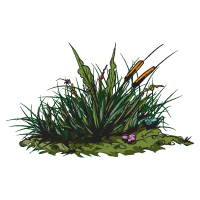 What is the State Prairie Grass? In the poem, "An Indian summer day on the Prairie," what object in nature does the speaker reference in each stanza? What is an example of a plant with a taproot?